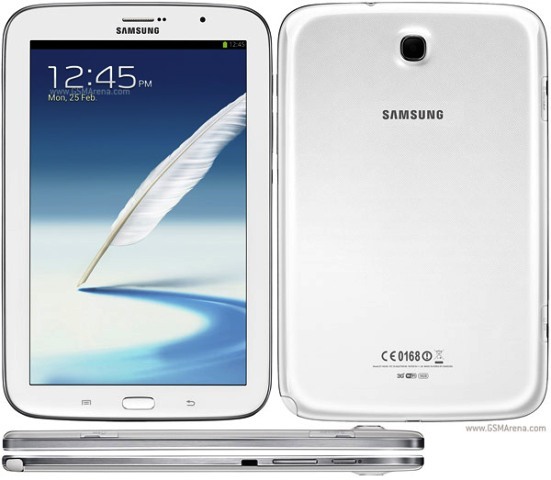 A new official firmware update N5100XXCMH1 Android 4.2.2 jellybean has been received for the Samsung Galaxy Note 8.0 N5100 smart phone. We are hoping that you have already updated the device with the latest firmware. And now you can easily root this device by following this simple guide. After installing an official firmware the root access of the device will get removed. So you will need to the rooting process again for installing apps that need root access. Rooting process enables you phone with various benefits like removing bloatware that extends the battery backup, you can install MOD after rooting your device, you can use custom ROM and you can tweak various features on your phone. You can root the Galaxy Note 8.0 N5100 running with the XXCMH1 Android 4.2.2 jellybean with the root package given with the tutorial. The root file given here has nearly 100% success rate. Please note that the root method will be successful for the device that has been updated using the KIES utility or manually using our tutorial. The new root package no longer comes with the (CWM) recovery as the old root package. But it offers you a successful rooting. Now extract the Odin zip file you will get the odin3.v3.07.exe and some other files. Now switch off your tablet and wait for 5-6 second to get a vibration to confirm it is switch off completely. For putting you phone in download mode, press and hold volume Down + Power button together and you will see a construction android robot in tablet screen. Now press volume up button again to enter into Download Mode. Now open the odin3 v3.07.exe in administrator mode because the administrator privilege is fatal for smooth installation process. Now using the USB cable connect your Galaxy Note 8.0 N5100 to your computer. After successful connection you will see a message in the odins message box saying “added”. If you don’t get the message try again connecting the tablet into another USB port. (USB port on the back side of the computer is more preferable). If the problem persists, reinstall the USB driver of the device. However, if you have seen a message saying “added” you can proceed into the next step. If the device is successfully added you should see a COM port with a number in yellow in the computer. Click the PDA button in the ODIN app. and select the CF-Auto-Root-kona3g-kona3gxx-gtn5100.tar.md5 file. For safe flashing double check everything that we mentioned in step7 and step8. If done select the START button for starting the flash process. After finishing the installation, tablet will get automatically rebooted and you will find a PASS message with the green background in the left-most box at the very top of the Odin. After the successful process disconnect the device from the computer.